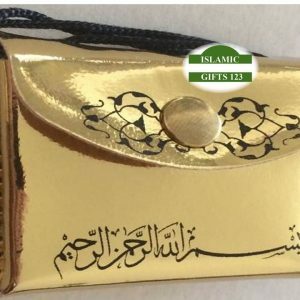 Quran book is 2inch X 1.5 in,3/4 Inch THICK. 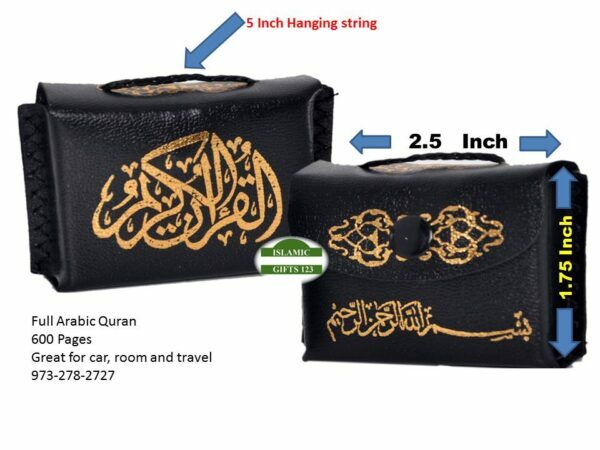 Pouch is 2.5 Inch wide by 1.5 Inch,6.5 Inch thread to hang. 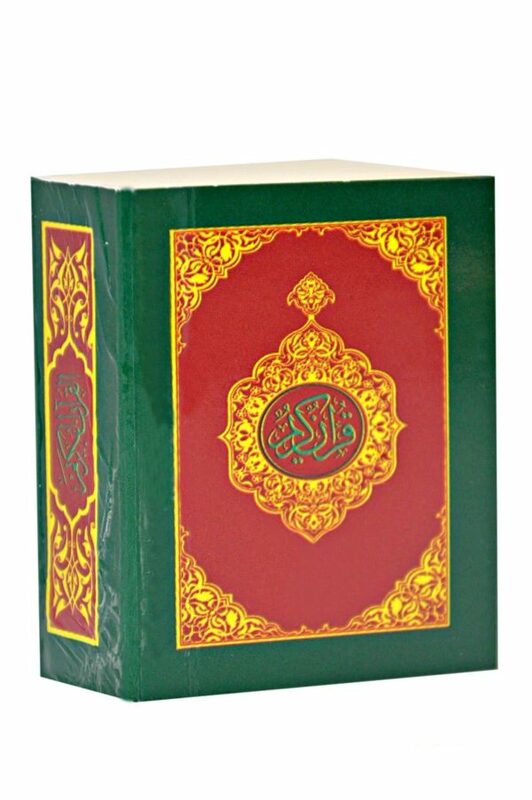 Printed Pages may be Antique white-Almond or off white.